Stephen Manning, student 1961 to 1966 I think. I was always under the impression it was Miss. Harnden. I also remember Miss "Brenda" as her surname was considered 'not suitable' for young students. I used to see Miss Hawkins long after her retirement as she lived close to home. 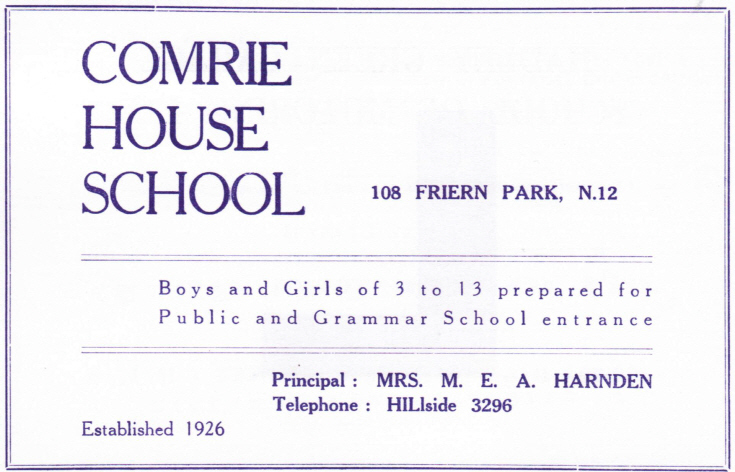 I was at Comrie House from 1962 until 1966. I am so happy that you were there. I live in Cyprus.mobile 0035799635996. I was at comrie house from 1962 until 1966. So happy to hear after 5 decades that you are around. I live in Cyprus. cell phone 0035799635996.